Triple-strength OmegaWell™ provides optimal results with 2000 mg daily serving size, containing 800 mg of EPA and 600 mg of DHA. 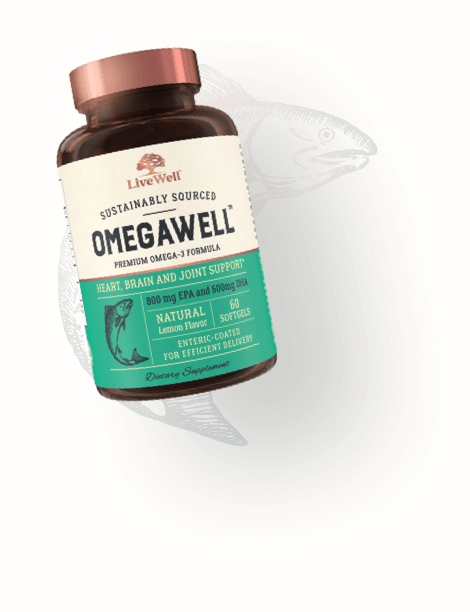 Formulated for maximum support of the brain, heart, joint, vascular and immune health, OmegaWell’s enteric-coated softgel make for easy, efficient delivery of sustainably sourced Omega-3s directly to your vital systems, so you can live well. Aids those suffering from autoimmune diseases. Fish oil contains two omega-3 fatty acids known as eicosapentaenoic acid (EPA) and docosahexaenoic acid (DHA). Studies show that these key omega-3s aid those suffering from autoimmune diseases including rheumatoid arthritis, Crohn’s disease, ulcerative colitis, psoriasis, lupus erythematosus, multiple sclerosis, and migraine headaches. 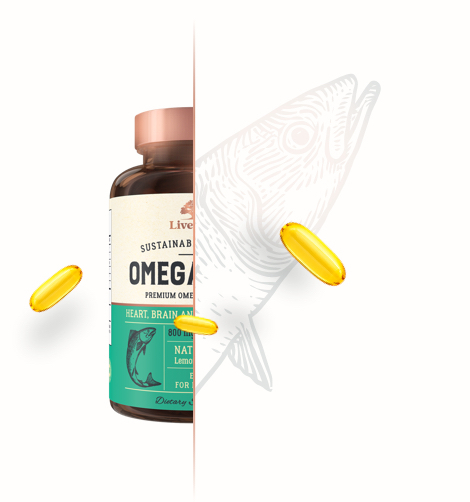 Fish oil benefits also include decreased risk of heart disease and stroke while also helping reduce symptoms of depression, hypertension, attention deficit hyperactivity disorder (ADHD), joint pain, arthritis, and chronic skin ailments like eczema. It has also been associated with aiding the body in weight loss, fertility, pregnancy, and increased energy.